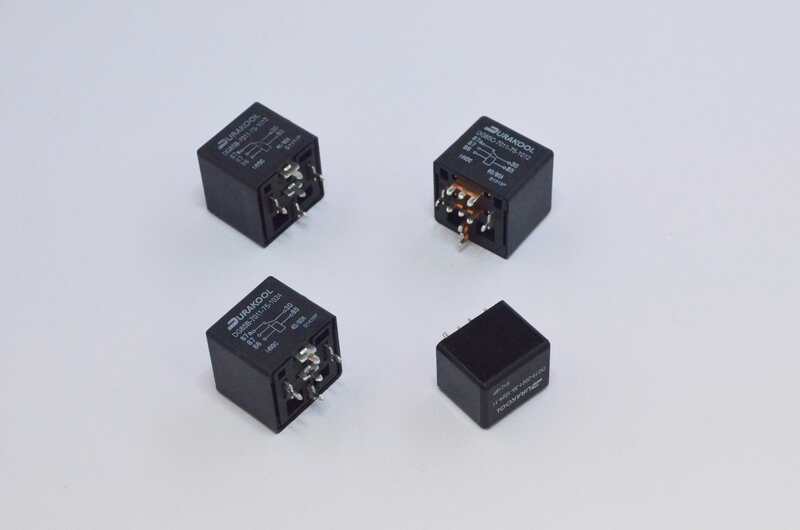 These are the circuit-board mounting relays that we use in a lot of our controllers. The 30/40 amp was used in the NCC-60 and NCC-70 controllers. The 40/60 amp relay is used in our Pro-120 and VTX controllers. They are both available in 12v and 24v versions. The 60/80 amp relay is used in our Pro-150 and DNO. It is 12v only as we switch the voltage internally on these models. Replacement of large components such as relays requires a lot of heat and skill and is not for the inexperienced. Without our super large soldering iron there is a good chance of trashing the board. Damage to the circuit board itself is quite often terminal! We can source relays in 100 off quantity at a good price. Other voltages and models can be obtained. Please contact us to enquire.